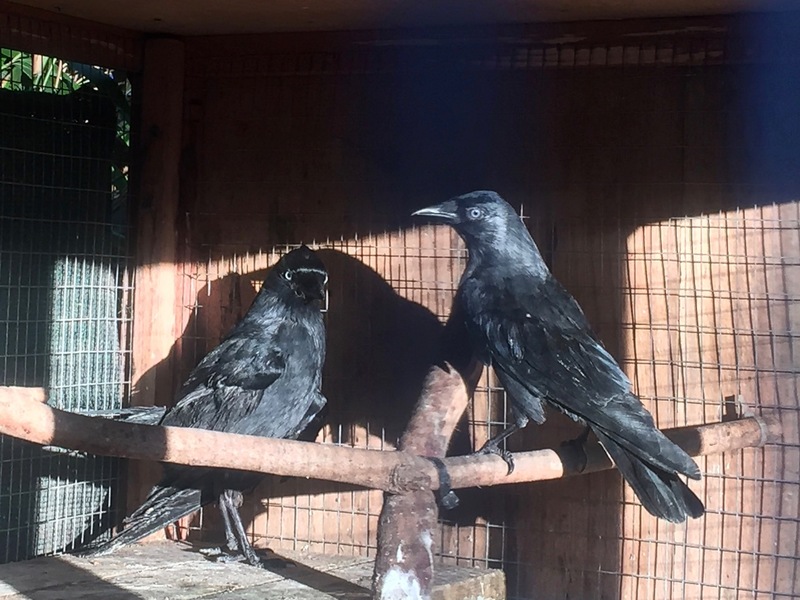 It is with great sadness that we have to announce the loss of our jackdaw Moby. 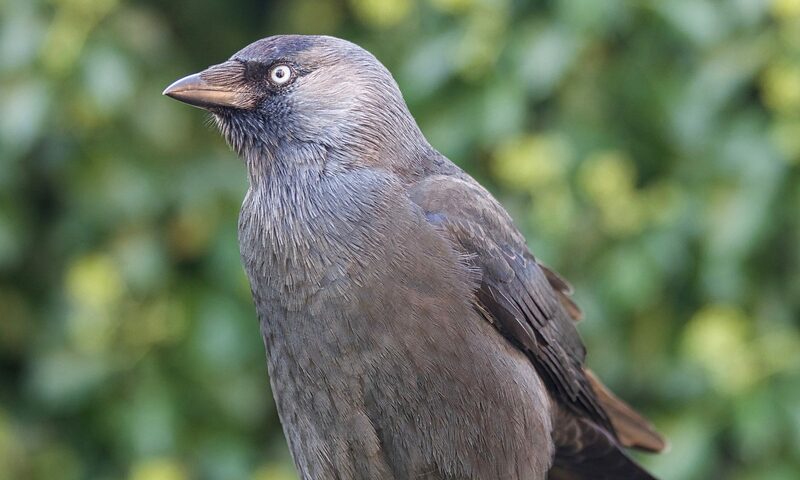 Moby came to us in September 2016 as an adult jackdaw, who has been at the time observed by members of the public hiding in the undergrowth and being unable to fly for more than three weeks. After we have been informed of her situation, we luckily managed to catch Moby the following day. At admission we discovered multiple, partly old and partly recent fractures of both wings as well as a severe spinal injury. Moby showed also marked signs of starvation and dehydration. The provided history obtained from local residents, including the apparent injury pattern, were suggestive of an initial injury, most likely an impact trauma, which rendered Moby unable to fly. However, the subsequent injuries she sustained after she became grounded, were consistent of being kicked and mistreated by humans. All injuries have been treated conservatively and splinted accordingly. Moby recovered well despite her understandable fear of humans, which took a long time to subside. Due to the severity of her injuries it was immediately clear that Moby would become a permanent resident and would not be releasable. 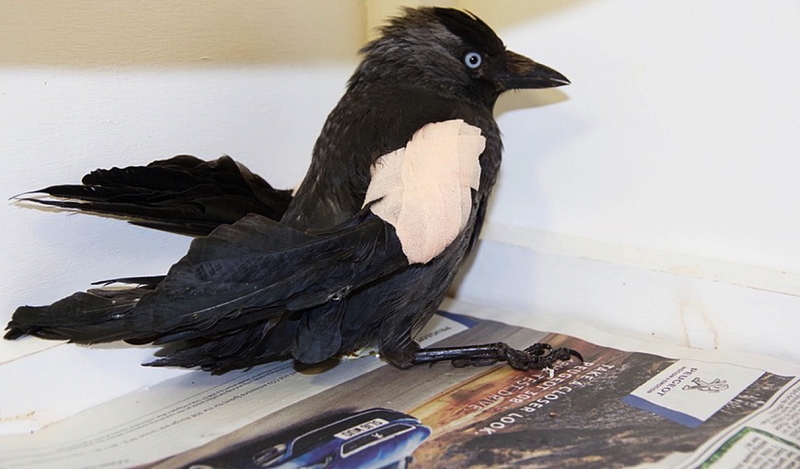 Her recovery was aided by Albus, another senior jackdaw resident, who was partially sighted. 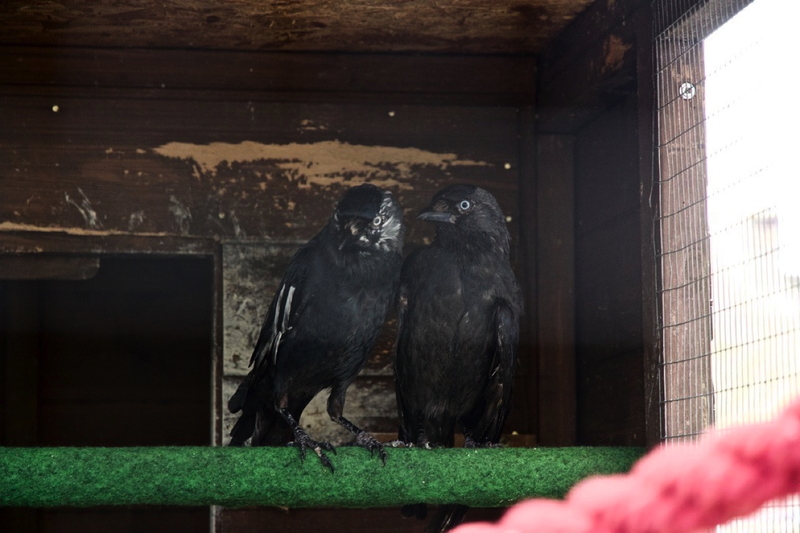 At a later time Moby developed a friendship and foster mother role by taking care of Ranjit, a young jackdaw with a developmental disorder. All in all Moby settled eventually well into the new setting and enjoyed the quit and calm atmosphere of her own aviary. Her death was totally unexpected and came without any precursors of disease or illness. We are saddened but also very glad that we could provide a safe place for Moby, to give back at least partly what has been taken violently off her in an unjustifiable act of human cruelty. Moby you have been very dear to our hearts and you will be sincerely missed! Rest in peace! Previous PostPrevious Do omnivorous corvid species actually need grit?